Firstly, happy new year from myself and everyone involved with AFC Unity. It’s such an exciting time for this football club, as morale has never been higher, team spirit has never been better, the football itself has never been so good, and we’ve never been more sure of ourselves and the work we do in the wider community. This is the first entry into this column since before the start of the season, in which I made the bold statement that you’re now ‘seeing a real, true Unity.’ And that was absolutely right, as evidenced by the complete difference in our football as well: now in a much tougher second of two divisions formed from the original three, our defeats have actually been less heavy than last season when we diluted ourselves across two teams – yes, we’ve won as many if not more games already by the new year than we did all of last season (and there will be more wins to come in the future, though no easy ones), but the emphasis is still on the process rather than the results. With one team in Unity now, we rebuilt the squad from scratch in the pre-season, as mentioned in my last entry to this column. 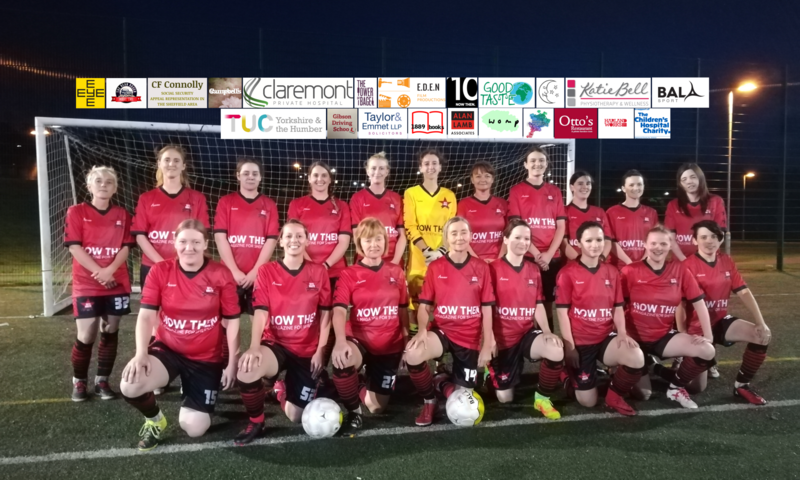 We made sure we had all the right ingredients to succeed and meet our aims off and on the pitch, and sure enough the club has been democratised even further with greater player involvement and the women really pushing the club further forward – be it via shared captaincy, or taking the lead in socials and fundraising – and this has only been possible because we have the maximum amount of 25 registered players who are good people who believe in the club and its ethos and really genuinely care about something bigger than just themselves. It’s what we wanted all along. These 25 players are selfless, prepared to fight for their spots in the 16 on a Sunday, so they can play for this badge and everything we represent. It’s a camaraderie and friendly competition made possible by the positive approach we have, the sports psychology and social elements that go into making this such a great team of players to coach and manage. They know that it’s not just about what they get out of it, but what they put in to it, too – that the culture of our club that they enjoy only exists because people like them stand up and fight for it. That’s selflessness, and it’s admirable. And it’s not for everyone. One or two players in the past may have found the positivity a culture shock – scoffing at the empirical evidence of sports psychology and the work of Dan Abrahams, for example, they were used to football clubs run like army camps, with drills to match, and an “everyone for themselves,” dog-eat-dog culture of negativity. That’s fine. There are plenty of other clubs for those types. But now AFC Unity has 25 players who all believe in it, and battle to protect it. That kind of culture shock can be avoided in future by the potential players interested in joining us (around one a week, on average) being directed first to Solidarity Soccer (and some go for it, but a remarkable few are prepared to relearn football in this way, which is how you separate those who just want to play some football for some local team, and those who really badly want to be an ambassador for AFC Unity, which is something I for one hold in high regard). Yes, there are journeying footballers who play Sunday league football drifting from team to team changing their shirt and their badge with nothing to believe in or fight for. That’s how you get some teams having star players presented as saviours, a very individualistic and frighteningly short-term mentality. And because of that, you get teams going up and down the divisions or even collapsing altogether, or changing coaches and managers every several months. At AFC Unity we’ve at least enjoyed a consistency in that area, and a long-term approach that sees us still going four years after our formation in early 2014, even while being completely unaffiliated with an established men’s team and being proactive and progressive with our community actions, and doing things so differently. So with that in mind, we’ve harnessed that consistency within the culture of the club to a point where players don’t panic when they lose a game; they know there’s a long-term plan and a process; they smile and laugh and have fun after matches where meanwhile I’ve seen “winning” teams shouting and swearing at each other and looking absolutely miserable as sin. Yes, we have yet again chosen the path less travelled, and it’s been a mountain to climb. It’s always been about doing things the right way for us. I don’t sit here and pick out my star players for praise (they each know how highly I think of them, and every one is valued); I don’t sit here and slag off our opponents to provoke negative reactions and get a few extra hits on our web page that may or may not be put together on a template by Pitchero (our page hits come from our supporters more than our enemies, which is a far more positive response, one we should all seek to provoke in people). So yes, ours is the right way, but it’s the hard way too – dealing with abuse from opponents, and from players rejected in the past, and seeing us lose matches to inferior football (not always, mind you – several times we have been beaten by pure class, and we praise such teams for their integrity). But our integrity continues beyond the pitch, out in the community, not just with Football for Food, but with our promotion of trade unionism too. When we had our early lucky run – when we were a grouping of individuals rather than playing football that represented our ethos – we endured far more abuse than we do now. Teams hated us because we were just formed, and yet we were winning games (there were more genuinely local grassroots teams then, rather than mighty professional football clubs pumping money into development teams). Now, they condescend to us, because they don’t see us as a threat. I said at a recent training session: let them do that, let them patronisingly praise our pretty football, but they’ll start hating us again soon, I’m afraid. And that’s fine. So could we win more matches, right now? Of course we could. We have fantastic players. But having them play defensive, boring, long-ball territorial football to win a match would have them puke on the spot, and probably quit right after (with me not far behind). They want to be challenged, they want to be developed, individually and as a team; they want to master more complicated styles of play where they all attack and they all defend. These players know the effort put in at training, the higher quality of football we’re working hard for, so that the process presents greater (and more satisfying) results in the long-term – while these so-called “winners”; teams of individuals, relying on individuals, are back in chaos and upheaval and jeopardy yet again. Ultimately, though, we’ve shown that these players are winners – not just their spirit as a team after a match, not just their incredible efforts and development. But with everything Unity continues to do in the community and beyond. We’ve always said, time and again, ‘When you’re just solely about winning, when you lose you have nothing else left.’ I laugh when teams love beating us, because it’s not only immensely flattering, but also misguided: win or lose, we’re still Unity. We don’t stop. I’ve never been so proud of my team. They’ve challenged me too, because now I’m not putting out fires, I focus on the football coaching and this season this team is making me a better manager, which is something I’m really grateful for. There’s a trust in the team where we all care about each other and know we can all bring out the best in one another. 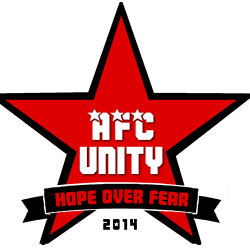 So as AFC Unity grows, and as more and more people get involved – at matches, at activities, and in campaigns – so our football evolves, and improves. And these players are grasping an art form at the moment, so be patient, because once they’ve mastered it, the results will follow as well, achieved in the right way – even against the bigger clubs and the short-term teams. Please support our players, come to matches, cheer them on, and spread the word: something special is happening at AFC Unity.